Robert More and his granddaughter. Rose Stigger and her granddaughter Inesha. Emma Williams and her granddaughter Lyric. Linda Benson and her grandson Shawn. 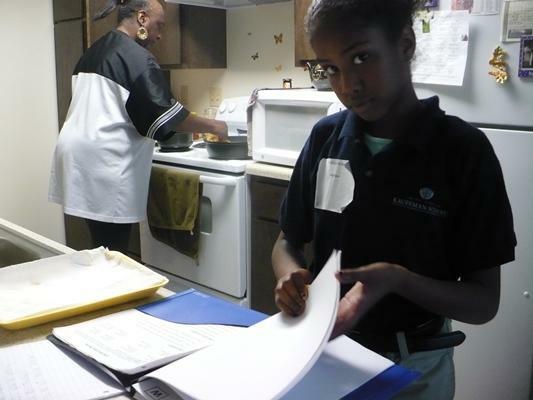 Five years ago, Rose Stigger's granddaughter, Inesha, came to stay with her over the weekend. At the end of the weekend, Inesha didn't want to go back home. "I didn't think I would be raising another family and it's kind of hard because you're starting all over," Stigger said. Inesha's parents were struggling with addiction, and Stigger doesn't regret the decision to step in. "She's ten years old and she keeps me going," Stigger said. "She's the light of my life." But Stigger also said raising grandchildren is a challenge. It's harder to follow their schoolwork and keep them out of trouble. And during these same five years, Stigger has lost two jobs and moved five times from one precarious rental home to another. But Inesha helped her keep her faith. "She always told me, 'Don't worry Mama, God's going to take care of us.'" Stigger said. "He has. He brought us here." 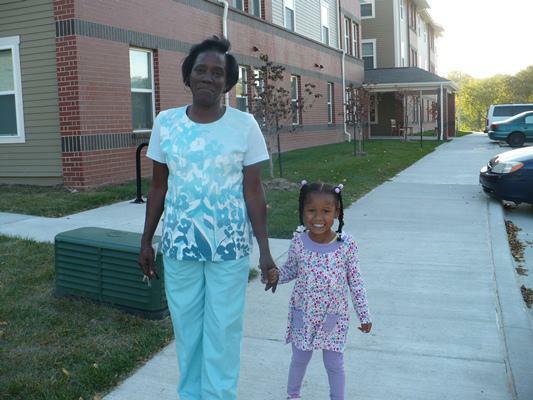 Rose Stigger and Inesha were the first to move into Pemberton Park, an unusual new senior housing complex designed exclusively for grandparents raising their grandchildren. The complex is located off of Blue Parkway in Southeast Kansas City and features 36 apartments. 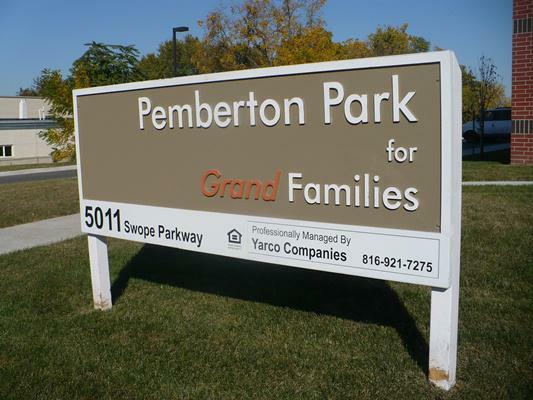 September 15 was ribbon-cutting day at Pemberton Park and another new resident, Reverend Robert More, led the ribbon-cutting dedication with a prayer. "Our father and our god, as we gather today on this day to say thank you for a mission that has been completed," More said. "A facility has been designated and designed to bring about love and peace and happiness and joy to seniors and their families and their children." Like a lot of senior housing, Pemberton Park accommodates wheelchairs and other disabilities, but it also has a playground and a computer room for kids to do their homework. Brian Collins is with the development company Cougar Capital. He came up with the idea for this development when he heard about a similar project in the Bronx. There are only a handful of others like it around the country. "It's sometimes unusual that a project comes to you, where not only does it make sense economically and commercially, but it tugs at your heartstrings, too," Collins said. Collins checked Kansas City's 2000 census and found there were more than 15,000 households in the metro area headed by grandparents. Preliminary data from the 2010 census suggests those numbers have probably gone up. So, Collins began scouting properties that might work for a new grand-families apartment complex. 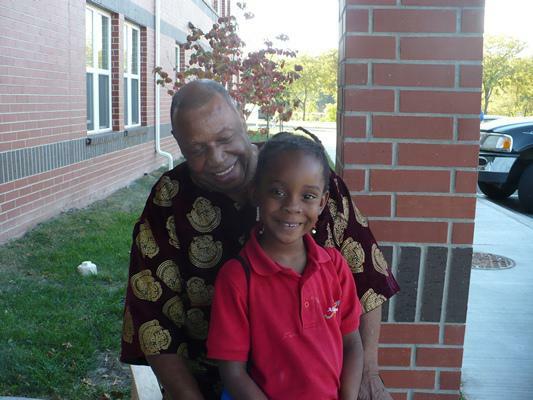 He worked with the Housing Authority, as well as Family Friends, a group at Children's Mercy Hospital that provides social services to grandparent caregivers. "With family friends, we organized essentially a focus group to look at where the project should be located and what amenities should be nearby," Collins said. "That led us to this site here at 51st and Cleveland." A Headstart center, a health clinic, a community center and a grocery store are all within walking distance from the apartments. Collins said the building design was also tailored to these family's needs. "Those households needed support with the children, especially after school and helping with their homework," Collins said. "Grandparents needed a place to get away from the kids. More than any other developments I've been involved in and I think normal affordable housing developments, this has a large amount of community space." The project cost $7.9 million and was paid for with federal stimulus dollars coming through the Missouri Housing Development Commission. 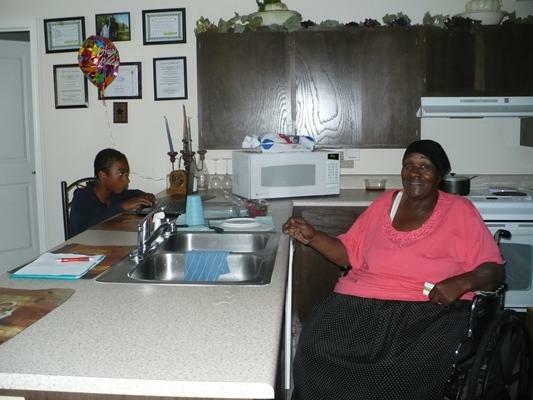 It's owned by Housing Services of Kansas City, and about 80 percent of the current residents receive low-income vouchers from the Housing Authority. As the first to move in, Rose Stigger has become kind of a community leader by organizing holiday events and talking to fellow residents about parenting. "I get together with the grandparents. We have meetings to see what's going on," Stigger said. "We try to help each other out and try to keep the kids occupied so they can keep them in this community like sisters and brothers and look after each other." According to XinhXan Bradt, the project's manager from the Housing Authority, this is unusual. "The residents here really seem to lean on each other, support each other and encourage each other in a more close-knit family kind of way than any other development that I've seen," Bradt said. 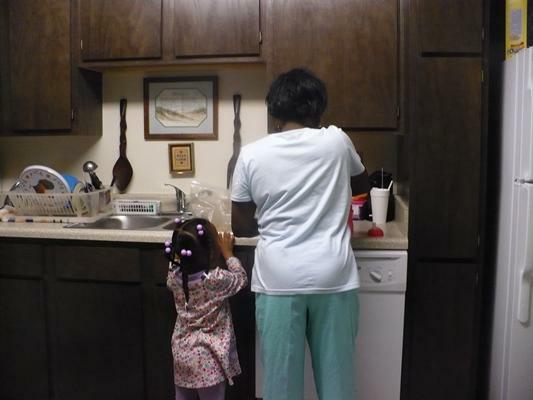 There are 13 apartments still left to be rented, but with thousands of other families headed by grandparents in Kansas City, similar housing projects may be cropping up in other parts of the metro area soon.